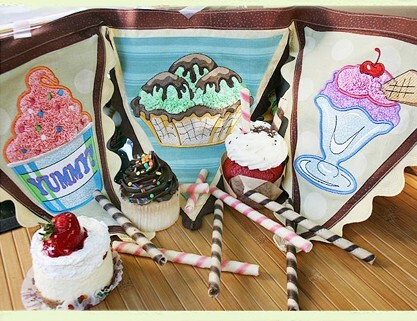 The designs in this collection are perfect for the sweet-tooth person in your life. With the vinyl, the designs really look as if the candies are in a plastic bag, but you can also embroider them without the vinyl. Illustrated by Steve Gray. They require the use of applique technique that are explained in detail in the attached instructions.